James D. Ellner, MD, is an expertly trained physician who is determined to better the lives of his patients. He is passionate about interventional pain management and helping patients in his community. He values the relationship he shares with his patients. "Quality care, fast service, empathy and understanding are all big parts of my practice. When patients are unable to perform their daily activities, I try to understand how they feel. I focus on their goals - to decrease pain and to improve function - so they may return to their normal lives." Dr. Ellner grew up in New York City and came to the south when he attended Emory University. He completed his medical training at the University of South Florida in Tampa, specializing in anesthesiology and pain management. He returned to the Atlanta area where he has practiced anesthesiology and interventional pain management since. Dr. Ellner is board certified by both the American Board of Anesthesiology and the American Board of Pain Medicine. 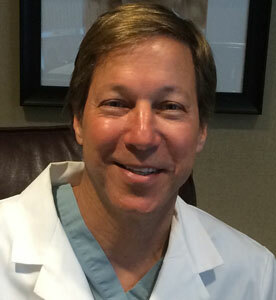 He is an active member of numerous societies including the American Society of Interventional Pain Physicians, Georgia Society of Interventional Pain Physicians and International Spine Intervention Society. As the founder and medical director of Georgia Pain Management, Dr. Ellner's goal is to offer the highest quality care in a friendly and caring atmosphere. His desire is for each patient to develop confidence that he and his staff have their best interest in mind as they develop the care plan for the patient. Dr. Ellner is also passionate about the time he spends with his wife and three sons. When Dr. Ellner is not participating in his sons' sports and scouting activities, you might find him on the tennis court. He will always be a die-hard New York Yankees fan. Dr. Ellner has been practicing pain management in the Towne Lake area of Woodstock since 2002 and is always happy to accommodate new patients.